Brand New Bizarro Collection From Madeleine Swann! 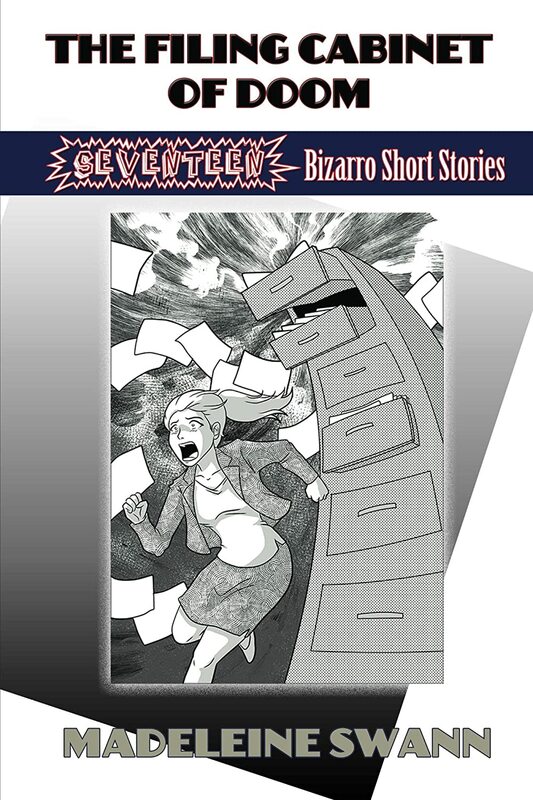 Now available – THE FILING CABINET OF DOOM – a collection of 17 Bizarro stories. What is THE FILING CABINET OF DOOM? It’s a surreal comedy set in a black and white world where people communicate via speech bubbles and no sound exists. During a visit by a traveling carnival a psychic informs a village that the world will end soon. Three people make their way to the Head Office of the Council – a distant and dangerous place – to find out what’s going on while the psychic stays behind to face the wrath of the villagers. Buy your copy today at amazon.com!